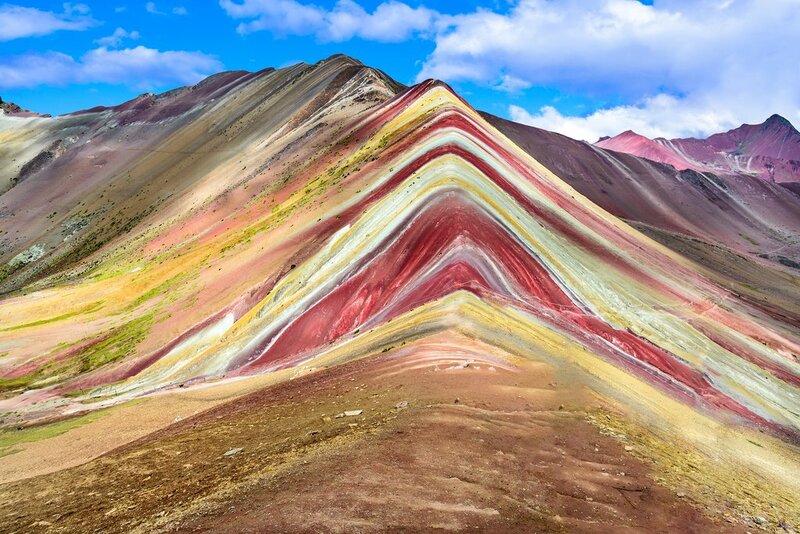 It's a 3.5-hour drive from the city of Cusco to the trailhead leading up Vinicunca, known as the Rainbow Mountain. 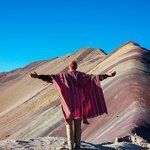 Also called the Montaña de los Siete Colors (Mountain of the Seven Colors), Vinicunca's colorful look is the result of ice melt over its surface a long time ago. 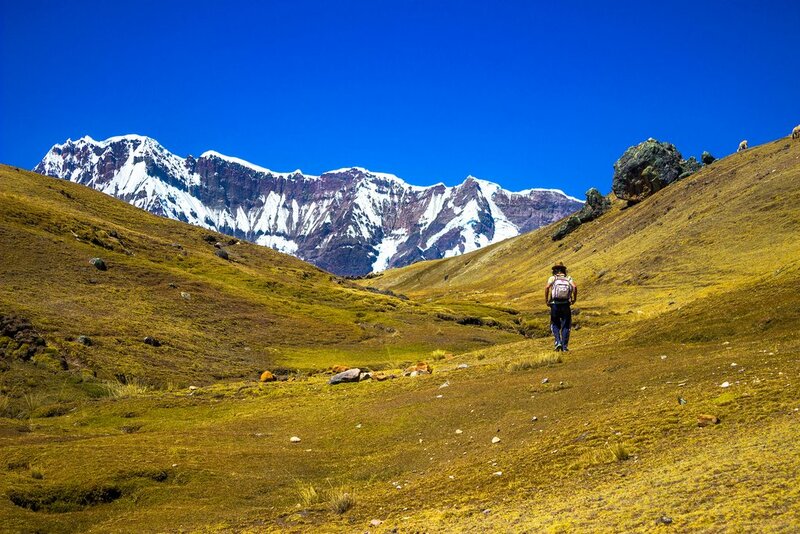 The water mixed with minerals in the soil, and the combination of rust, iron sulfide, oxidized limonite, and chlorite led to the vivid purples, greens, reds, and yellows that color the mountain today. 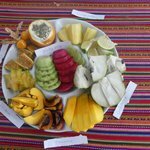 Breakfast will be served at the trailhead, after which the four-hour uphill hike begins (not for beginners) from about 3,700 meters (12,139 feet) in elevation. 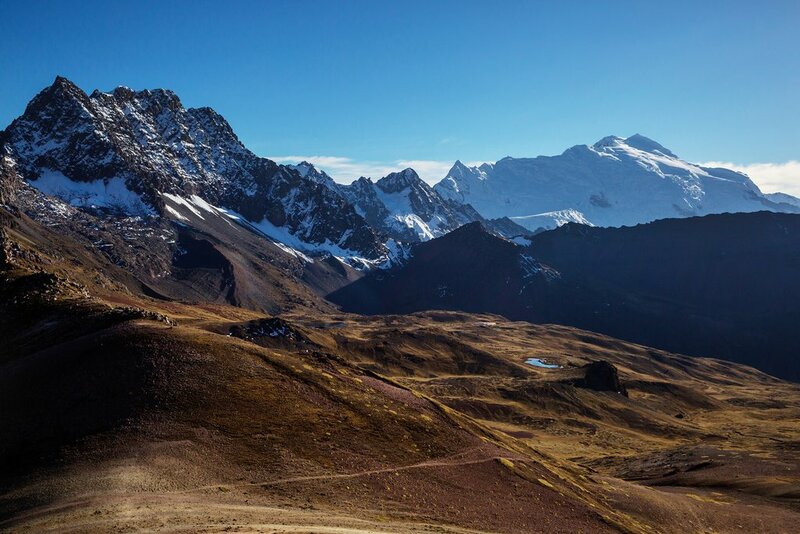 Along the way, there are panoramic views of the Andes, glacial peaks, red mountains, and rocky hills that surround the trail. 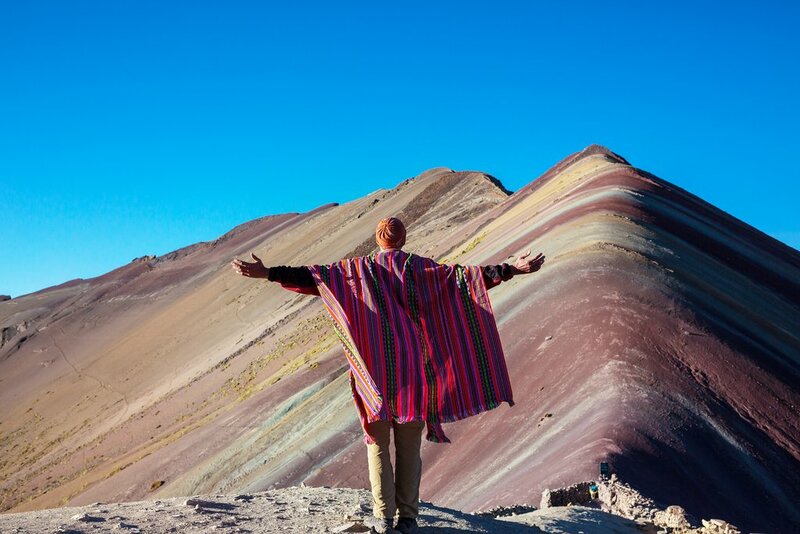 Upon arrival at the top of Rainbow Mountain, there will be ample time to appreciate the vistas and take photos. 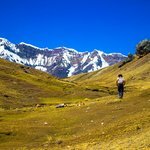 From here there are also views of Ausangate Glacier Peak. 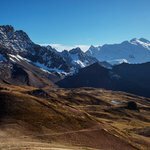 Ausangate is the tallest mountain in the Cusco region (just under 21,000 ft elevation) and is part of the Cordillera Vilcanota Range. 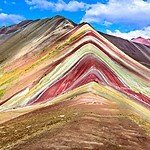 After spending a while at the top of Rainbow Mountain, it will then be time to start the descent and return to Cusco.